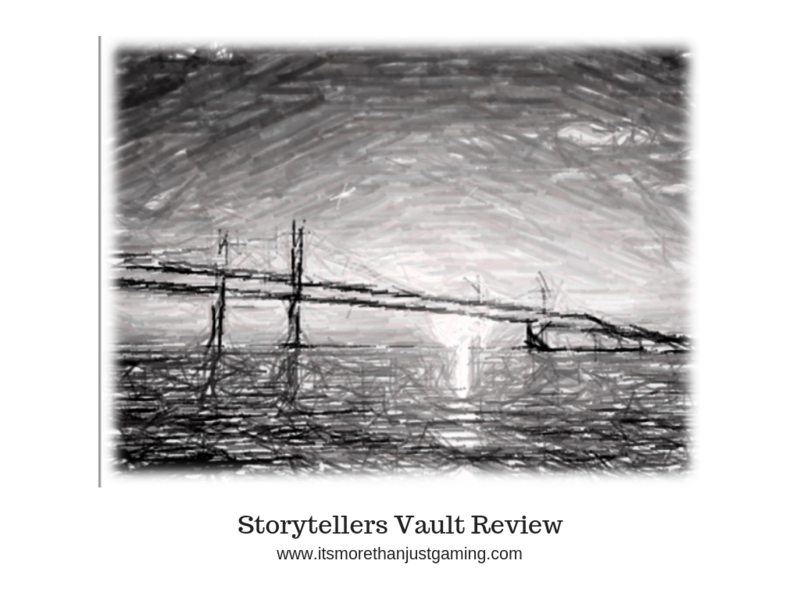 I have done plenty of Storytellers Vault reviews but this is probably my first location book. Following in the tradition of such titles as Cairo by Night, Transylvania by Night or even one that I recently purchased, New York by Night, Of Blood and Bays gives setting information that can be used in World of Darkness games. Technically it is geared towards Vampire: The Masquerade, however there are a few bits and bobs in there to do with local Garou population, Changing Breeds up to and including Rokea (Weresharks – one of my favourtie beasties in World of Darkness), Changelings and some mysterious creatures of unknown origin to add a little spice and mystery. I will come back to that later. In terms of geography it covers part of the East Coast of the United States that, to my recollection, is more or less overlooked by other game source material and perhaps to a lesser extent the rest of the world as it isn’t New York or LA. It covers most of Delaware, some of Maryland and parts of Virginia with the northernmost city being Atlantic City, with Norfolk to the south. The Pine Barrens (a forest in the north) and Chesapeake Bay feature quite prominently also. The overall premise of the setting is “The Land that everyone in power basically forgot”. Overlooked by the major factions in Vampire; The Masqerade, the area described above (sometimes referred to as the Eastern Shore) is its own little world apart from the perpetual hot and cold war of the vampiric children of Caine. The world apart feeling adds a bit of mystery to the setting, which the book capitalises on by telling stories about a monstrous creature in the Pine Barrens that even the werewolves are afraid of, and by hinting at something dark and unknowable in the depths of Chesapeake Bay. The key vampiric players in the region, and a few others of other lineages (pretty sure I spotted a Wereshark in there…), are given very brief biographies. My friend would call this the “Player’s Handbook” treatment, as only what is generally known to the public among the supernatural community is shared in the biographies. This is deliberate, as the author wants storytellers to use these characters in any way they see fit, backfilling whatever they need to in their biography to make it fit with the chronicle. I really liked the mysterious stuff in the book. The monster of the Pine Barrens (My money is on a Changeling Chimera, but maybe it is something that crawled out of Malfeas instead?) and the legends advanced about Chesapeake Bay really got my attention. The area covered is oft overlooked and makes useful setting material if you are planning an east coast campaign. Perhaps even playing a chronicle of when the East Coast fell to the Sabbat, and then New York was retaken by the Camarilla. What happened on the shore that both sides forgot? That is plenty of game fodder. This work appears to have been influenced by Beckett’s Jyhad Diary in terms of style, which is no bad thing. Which is to say, information is presented to the reader and then plot hooks are provided. I did like that there were references to various other supernaturals in the area. It is a location sourcebook covering a fairly large area. It could have done with a map or two. There are a fair amount of locations covered in a relatively short (45 pages) book. So, my acid test as ever is would or could I use this? Would, possibly but most likely as part of a larger campaign along the East Coast of the US. The locations covered have just enough information and plot hooks for me to be able to send a New York based coterie on a chronicle into the area that would be engaging and different. Could I use the book? Most definitely. As much as I feel it would benefit from more local information and a map or two, there is enough here to be going on with and Google Maps can help with the rest. My only word of caution (not really a warning). To use this book to its fullest, you probably would benefit from a copy of (at the very least) Changing Breeds. You might benefit from Werewolf: The Apocalypse and Changeling: The Dreaming though there are at least equivalent stats for them in the Vampire: The Masquerade core rules.